Whether you are planning to purchase an Apple Watch or just bought it, there are certain tricks that you will discover only after wearing the smartwatch. Apple watch is a gadget that is far beyond checking the time and sending messages. 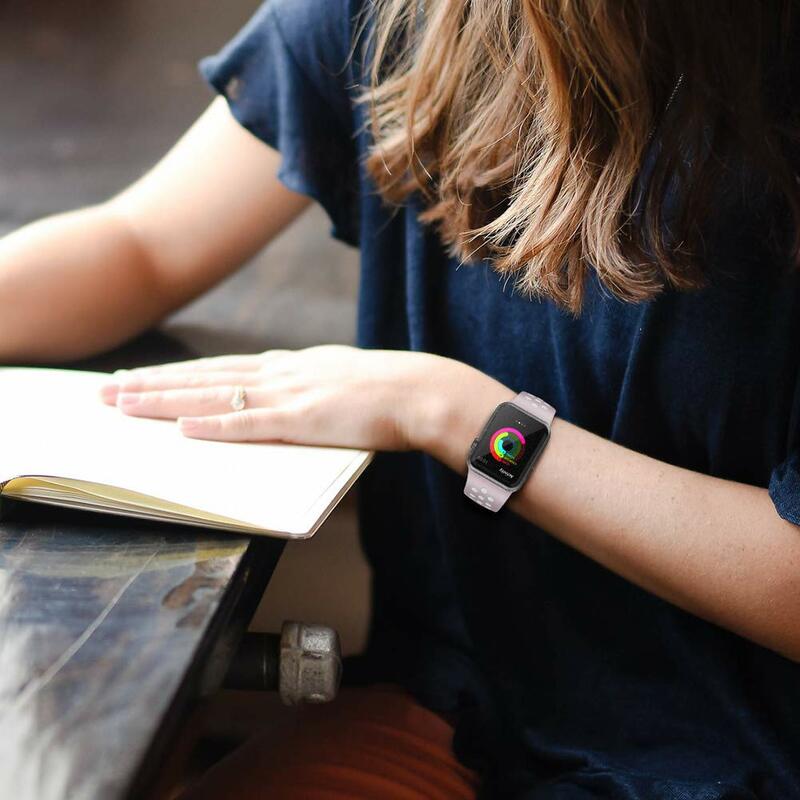 Your wearable device fits into your life with plenty of technological features. Apart from the internet reviews or friends suggestions, your Apple Watch has a lot more features than that. You will unfold many specifications once you have your small wearable computing device on your wrist. We will guide you with the advanced interactive features of Apple Watch. Designed to pair with another iOS device, the smartwatch let you access the Watch’s full features when connected with your iPhone. Join our newsletter to get tips and tricks delivered to your inbox. Siri now lives in your watch too. Connect your watch with an iPhone to let Siri help you. Hold the crown or say “Hey Siri” to visualize calendar, text message contact and lot more. You can view the information on screen before Siri sends the message to your contacts. Control your television, track your runs, order food, view your social media photographs and even shop online all from your iWatch. Install watch apps and navigate easily through the small icons on the screen with the Digital crown on watch. Watch guides you through the route without holding the phone for directions all the time. With different vibration patterns for the left and right turn, the watch even alerts you and allows you to keep moving without looking at the watch. Start it, by asking Siri for the directions. Do you love to send emoji from your iPhone? Sending animated emoticons is now even possible from your wrist. Send the smiley face or sticking out emoji and you can also change the mood of the emoji face with your finger. Watch regularly monitors your heart rate and alerts you when detects any irregularities after keeping a close eye on high or low heart rates. The Series 4 watch even identifies if you have fallen and sends the alert to initiate an emergency call or you can dismiss the alert. But if you are unresponsive for more than 60 seconds, your smartwatch automatically places a call to your emergency contacts. Wear your Apple watch with comfort by elegantly designing it with the top watchbands that match your style. Milanese Infinite Loop is a stainless steel mesh that is a modernized design of the Milan loop created back in the 19th century. The smooth mesh comfortably wraps around your wrist and gives the perfect fit by easily adjusted according to your wrist size. Compatible with watch and sports edition of Series 1, 2, 3 and 4, you can buy this delicate strap in 38mm/40mm and 42mm/44mm sizes. Backed with a 1-year warranty, Limitless provides free shipping of the product. Whether the band doesn’t fit you or you change your mind, the brand gives you a 90-days return period. Style you watch elegantly with this rhinestone embedded stainless steel metal bracelet. Made from a high-quality alloy the wristband imparts durability with its high-class steel connector and double elastic cords. This buckle free band snugly fits your wrist and keeps it at comfort with easy on and off the band by slightly stretching the elastic band. The installation of the band is easy; all it needs is a slide to the steel connector. Extend the watchbands lifetime by keeping it safe from water. This fashionable band is a perfect gift material, either you gift it your loved ones or wear it on a party it is sure to welcome lots of compliments. Kaome Leather Band is a slim, soft and light-weighted strap that gives you comfortable wear with its smooth top-grain leather. Either you wear the band at your regular workouts, or in the official meetings, or on a special occasion, the breathable design of this flexible band will always keep your wrist relaxed by providing a ventilated experience. This versatile band with double loops keeps your Apple Watch highly secure when tied on your wrist. 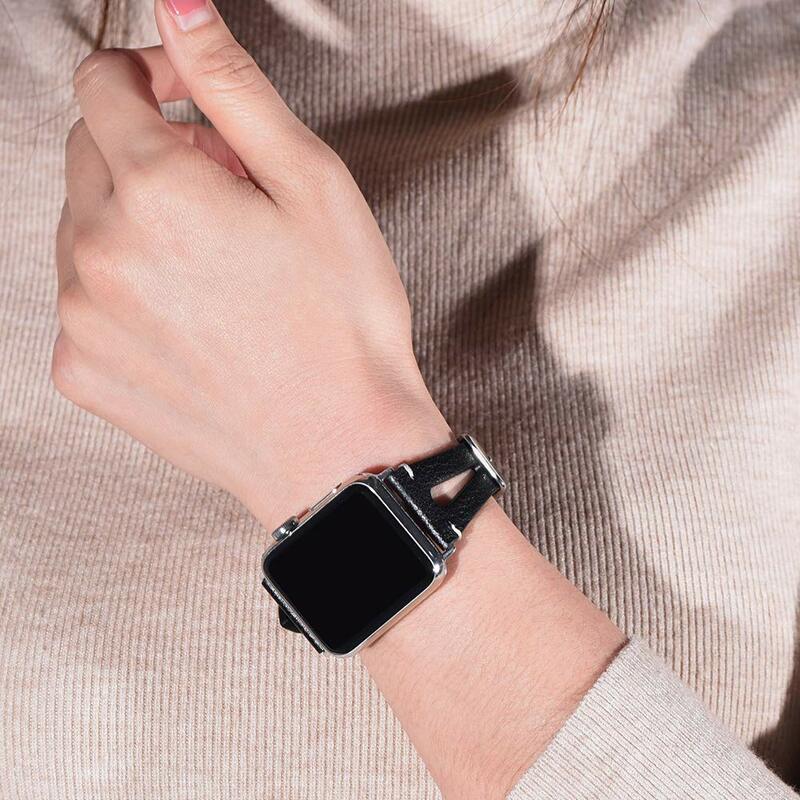 With Feminine Breathable Slit Design, the watch fits wrist sizes of 140mm to 190mm and is compatible with all the Series of Apple watch. The Silicone Replacement Wristband by AdMaster is a skin friendly and highly durable strap for your Apple watch. Designed with stainless steel buckle, the band ensures security and gives your wrist a breathable space with its inbuilt air holes that keep your watch more comfortable on to your wrist. Available in two sizes the watch fits on wrist sizes 140-190mm and 160-210mm and is compatible with sports and watch editions of Apple Series 1, 2, 3 and 4. Enjoy the classy looks of iWatch when designed with this soft band that is backed with a 1-year warranty. Add a touch to your wrist by decorating your watch with this rose gold bracelet. This delicate band will highlight your style and enhance the visual look of your smartwatch. The Hypoallergenic Stainless Steel band with classical clasps makes it easily resizable for giving a perfect fit to your wrist. It is available in sizes- 38mm/40mm and 42mm/44mm and is easily resizable without the usage of any additional tool. This highly durable band is compatible with Apple Watch Series 1, 2, 3 and 4 of its watch and sports edition and has a 1-year warranty. Limitless delivers best customer service by offering 90-days return policy if it doesn’t fit or you change your mind. Explore your Apple watch to take full advantage of its features and decorate your smartwatch with these beautiful bands to raise the style statement.